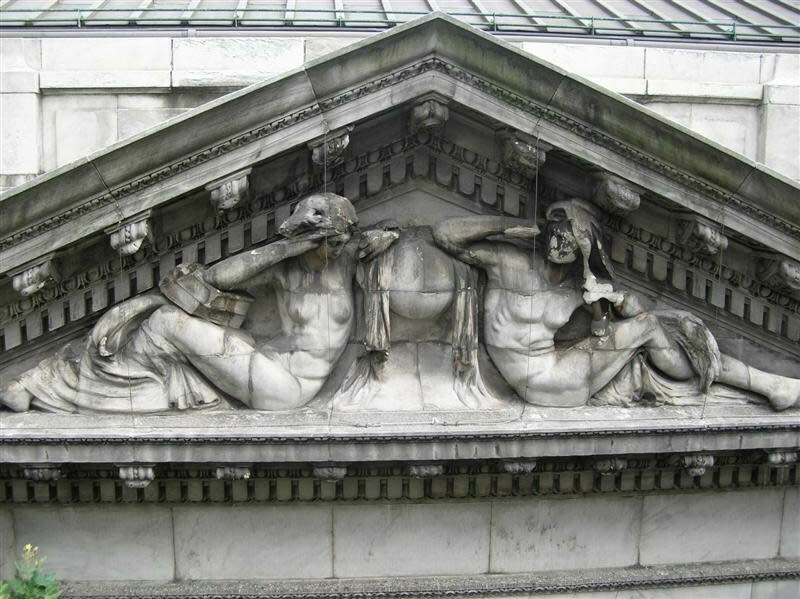 The New York Public Library, a monumental Beaux-Arts building by architects Carrère & Hastings, was opened to the public in 1911. 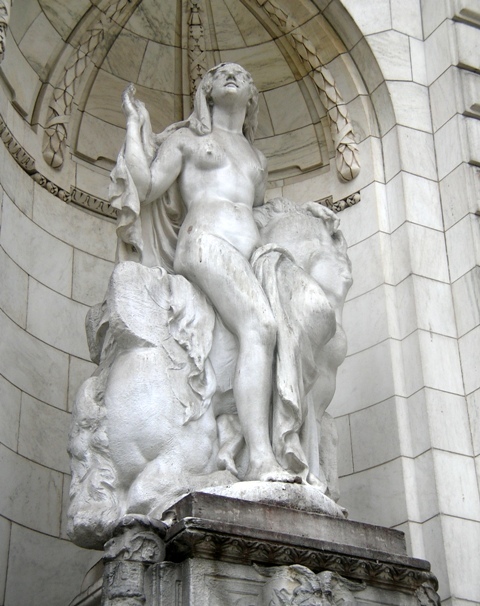 The building’s classical design includes a series of sculptural groups along the Fifth Avenue façade. 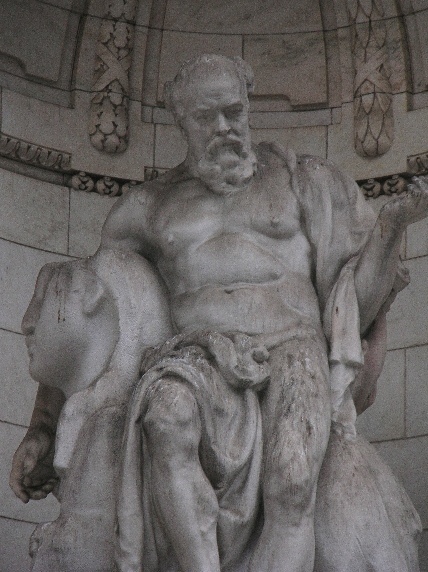 One group consists of six heroic-scaled attic figures by Paul Wayland Bartlett which stands over the main entrance. 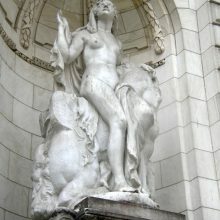 Each of the 11 foot tall allegorical figures is carved from a single piece of Georgia marble. 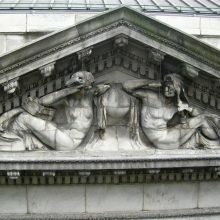 The north and south pediments hold groups by George Grey Barnard, carved in-situ from coursed ashlars of fine-grained Dorset, Vermont marble. 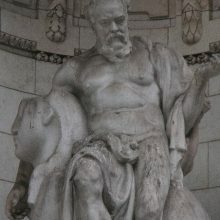 There are two fountain figures entitled Truth and Beauty by Frederick MacMonnies sculpted in Carrara marble. 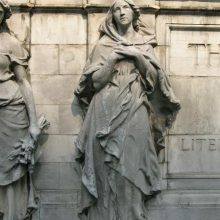 Other terrace elements include monumental marble vases, decorative bronze flagpole bases, vitrines, plaques, the William Cullen Bryant Memorial, and the Library’s trademark Lions. We performed condition assessments, testing, and conservation treatment mock-ups for all of the building’s fine arts elements. 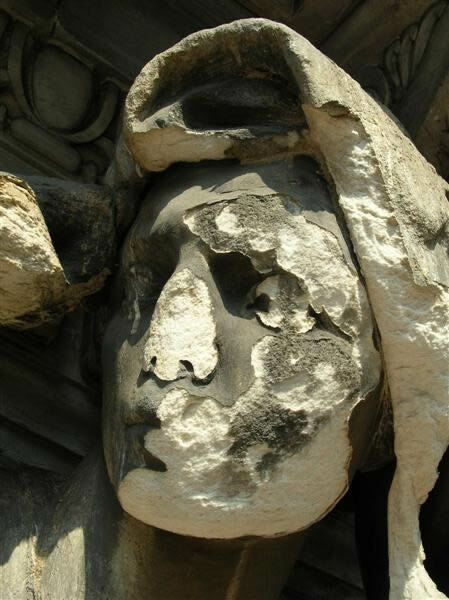 The first phase of work (completed in August 2006) was a condition assessment, during which severe stone and mortar disintegration on the north and south pediments was identified. 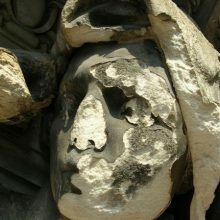 These conditions resulted in the massive loss of carved detail and posed a potential safety hazard to the public. All collected survey data was translated into CAD drawings. These condition drawings, in conjunction with written and photographic documentation, are the foundation from which upcoming conservation treatment efforts are being planned. 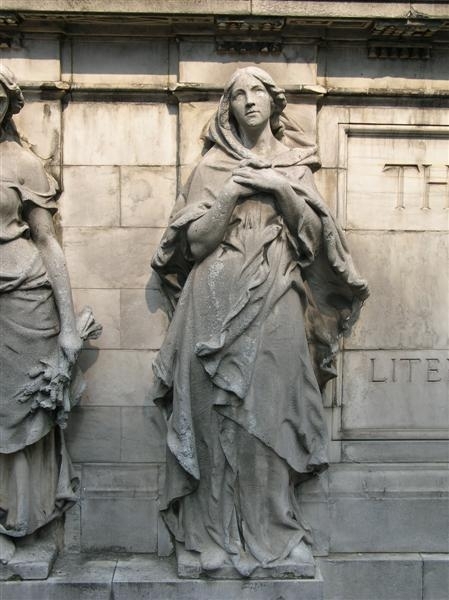 Our conservators also performed the testing phase of the work and will direct the sculptural elements’ treatment planning and implementation during the building’s restoration. The project was awarded the AIA Institute Honor Award in 2013 with a special notice of our work.